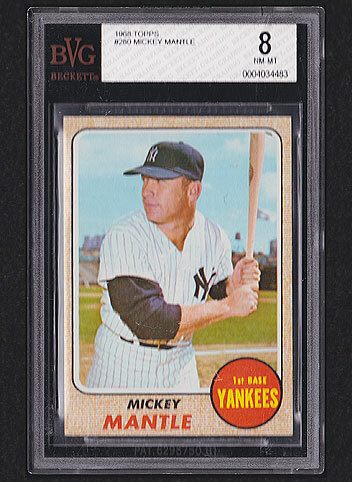 Want to see all Mickey Mantle Baseball Cards in inventory? 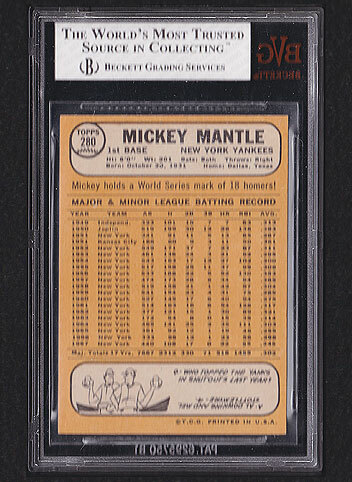 Details: Perfectly centered 1968 Topps Mickey Mantle #280 graded BVG 8. Beautiful card. Solid grade! FREE SHIPPING AND INSURANCE! Purchase with confidence. Your satisfaction is guaranteed!